Like last week's TBT, this is a memory from my law school years; this one from the spring of 1968, when I was a first year law student and, as a transplant from Florida to Massachusetts, experiencing my first real spring since I was a child. I had spring fever bad, which wasn't helping me concentrate on my studies. Many nights I stayed up late, trying to catch up on assignments and prepare for exams, and would always have WBCN, Boston's first "underground" FM rock station, playing. Despite "Candymen" and "Rodney Justo" sticking in my memory, I didn't follow them at the time. WBCN didn't play the song again, at least not when I was listening, and no Candymen albums showed up in the record bins at the Harvard Coop. My principal musical interests at the time were the harder edged British Invasion groups--the Stones, the Who, the Yardbirds--along with Dylan and the country-tinged rock of the Byrds and Buffalo Springfield. From the last two I developed passions for, respectively, the "Cosmic American Music" of Gram Parsons and the protean Neil Young. A few years ago I became Facebook friends with someone I had known in Tampa during my youth, and saw that one of that person's other friends was a "Rodney Justo." "Could it be?" I thought. I went to Rodney's Facebook page and--sho' nuff! It turned out we had both lived in Tampa and went to rival, though not arch-rival, high schools (I to Robinson; he to Chamberlain). Although I had never met him. I sent a friend request, which he graciously accepted. I learned that, before the Candymen, he had led a group called Rodney and the Mystics, which triggered a vague memory, as I'd probably heard of them during my Tampa years (they shouldn't be confused with the Mystics who had the 1959 hit "Hushabye; those Mystics came from what is now my adopted home, Brooklyn). What I didn't know was that Rodney and the Mystics became the go-to backup band for many established rock stars. Roy Orbison asked Justo to join his backup group, called the Candymen as a reference to Orbison's song "Candy Man". Although their principal commitment was to Orbison, the Candymen also recorded and performed on their own; witness "Georgia Pines." After the Candymen, Justo became a founding member of Atlanta Rhythm Section; the photo at the top of this post is of him while he was with ARS. The video clip below is of a reunited ARS performing "Doraville" live sometime in the not-too-distant past; Justo is the lead singer. Some years ago Justo left the full time music world and took a job with a beverage distributor because he decided it was more important to be a successful father than a successful musician. Nevertheless, he still does gigs with Coo Coo Ca Choo, a '60s-'70s revival band, in the Tampa area. Lesley Gore, who died today at 68, is most remembered for her first hit, "It's My Party (and I'll Cry If I Want To)," which began a successful collaboration with Quincy Jones as her producer. She was a Brooklyn native, but her family moved to New Jersey, where she attended the private Dwight School for Girls in Englewood. She was a sixteen year old junior at Dwight when Jones signed her to Mercury Records and she recorded "It's My Party," which went to the top of the Billboard pop chart in 1963. Her recording and performing career continued through high school and Sarah Lawrence College, where she studied drama and literature. She later did some acting; the photo above shows her as Catwoman's sidekick Pussycat in the TV series Batman. My favorite of her early hits (she continued to record, perform, and write music through much of her later life; her last album, Ever Since, reviewed favorably in The New York Times, was released in 2005) is "You Don't Own Me," described as an "empowering, ahead-of-its-time feminist anthem" by Daniel Kreps in Rolling Stone. The video clip above shows her performing it as part of the T.A.M.I. Show in 1964, when she was eighteen. While "You Don't Own Me" could be seen as an "answer song" to Joanie Sommers' 1962 hit "Johnny Get Angry" ("I want a brave man; I want a caveman"), Gore didn't see it that way, at least not when she recorded it. She thought of it as something a man could have as easily sung to a woman. Like all of Gore's early songs, it wasn't written by her. It was written by two men, John Madera and Dave White. Gore was in college when she first realized that she was a lesbian. She didn't announce this to the public until 2005, when she was hosting In The Life, a PBS show about LGBT issues. Her death was announced by Lois Sasson, her partner of 33 years. While "You Don't Own Me" was not an answer to any particular song, it responded to an entire era. The late 50s and early 60s were full of songs which instructed women on their role viz a viz men in society: not only "Johnny Get Angry", which you mentioned, but also "Love and Marriage", "Wives and Lovers", and probably the most egregious of the lot, "Bobby's Girl". The fact that "You Don't Own Me" was on the air was a grand signal that even if that era was not over, it would, in fact, soon be history. It also occurred to me that 1963, the year "You Don't Own Me" was released, was also the year that Betty Friedan's The Feminine Mystique was published. nothing, empty, free at last. --Philip Levine, "Burial Rites" (from News of the World; New York, Alfred A. Knopf, 2011) Photo: Detroit Jewish News. 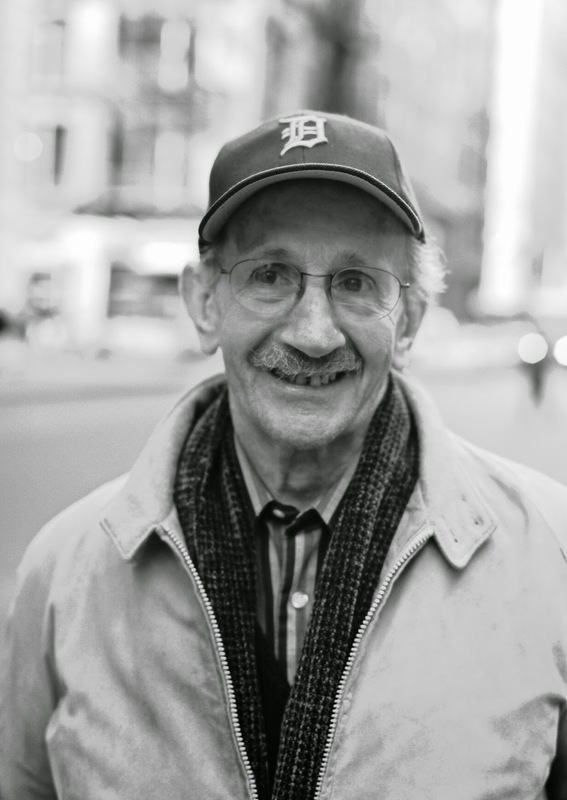 Philip Levine, who died on Valentine's Day, was born in Detroit to immigrant Russian Jewish parents, and wrote poetry while he held various blue collar jobs, including working the night shift at the Chevrolet Gear and Axle plant. He later taught at Fresno State University in California, won a Pulitzer Prize and two National Book Awards, and was Poet Laureate of the United States from 2011 through 2012. After he retired from teaching, he divided his time between California and my neighborhood, Brooklyn Heights, which he came to consider his real home. In the Cortland Review video clip below, which I embedded in a Brooklyn Heights Blog post in November of 2013, he walked around the neighborhood and talked about what inspired him.